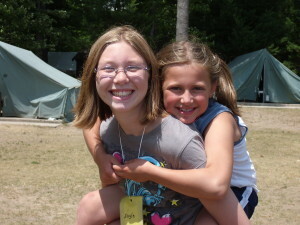 Rose Lake Youth Camp is run by a volunteer Board of Directors who are dedicated to making summer camp a possibility for children each summer in Northern Michigan. Because RLYC is funded by individuals and businesses committed to summer camping, the volunteer Board handles a variety of responsibilities. Everything from camp maintenance, to fundraising, to hiring staff is completed by this group of volunteers. Many thanks to this group of dedicated individuals who work very hard to maintain the gem of Rose Lake Youth Camp each year. 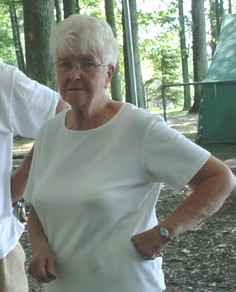 For those that know about Rose Lake Youth Camp, the name is synonymous with another name – Patt Cooper. Patt made a trip out to visit the little camp on Rose Lake in 1978 and she was hooked. Every summer since 1978, Patt has been a guiding force for RLYC. She served for years as the Camp Director and today serves as an invaluable member of the Board of Directors. Pick any day camp is in session, and it’s almost a guarantee that Patt will be around lending a helping hand and working with the children. Patt has guided thousands of children over the years to learn to love the outdoors, cherish our natural resources and give back to our community. As RLYC celebrates over 67 years of camping, we take a minute to thank a person who has made RLYC what it is today. Thank you, Patt!